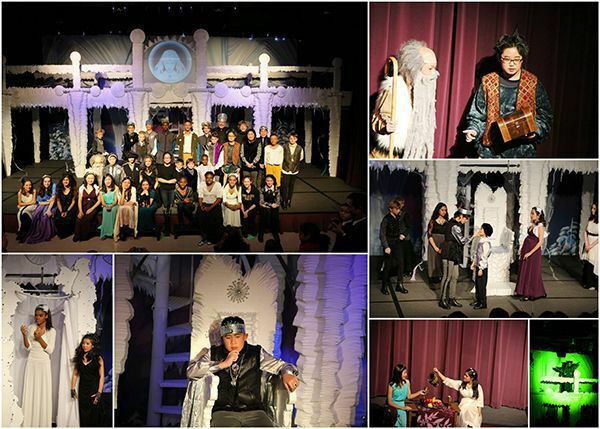 On November 22 and 23, the Class of 2015—aka the 7th grade—presented a haunting rendition of Shakespeare’s The Winter’s Tale, outstanding in its elegance and artistry. In this Westminster rite of passage, in which 12-year-olds take on the challenge of both Shakespeare and their headmaster/director, the young actors delivered a remarkably intelligent, poised, and moving rendition of this dark fairy tale. Scenes were supported by an arresting musical soundtrack, creative visual projections, and original choreography, and played out in front of a stunning castle of carved “ice.” Congratulations to the cast and crew of this unforgettable Gryphon Theater production!